Our Professional Cleaning Services are Made to Suit and Benefit You! Tidy Up is a professional cleaning company that can offer you a wide choice of high quality cleaning services at a price that won’t break the bank either. Cleaning is an important and necessary task that needs to be completed on a regular basis, so when you don’t have the time, energy or desire to tend to your cleaning services make sure that you call in the experts on 020 3397 4918 to get the help and adequate support that you need. When you have very little free time in your personal and free time, the last thing that you want to be doing is spending all of your leisure time cleaning. When you have a weekend off and the weather is nice it is understandable that you don’t really want to have to spend the day indoors with your cleaning supplies in order to give your property a good old thorough cleaning. Time is precious and you don’t have time to waste on completing boring, yet compulsory house chores and other monotonous tasks. If you have never considered having a professional cleaning company come to clean your domestic or commercial property before then maybe it is time to start thinking about it now. Hiring professional cleaners to clean your property for you can do wonders for your property, furnishings and upholsteries and will be sure to save you stacks of time too! It doesn’t matter how busy you are, how unwell you feel may feel or how tired you may be, as keeping a tidy and clean property is very important. It is shocking to find out how much dirt, grime and other bacteria lies on the surfaces of your work tops, sofas, carpets and other pieces of furniture, which is why they need to be kept clean and fresh. 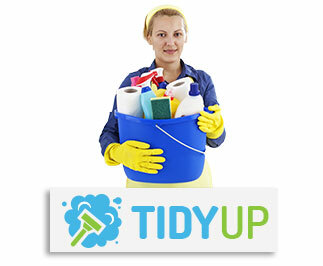 If you can’t manage this yourself then why not call in Tidy Up who can provide you with inexpensive and convenient cleaning services which will save you from having to tackle your cleaning tasks yourself. Leave the cleaning to us and enjoy more free time for yourself and for your personal or working life. Just give us a quick call today on 020 3397 4918 and together we can arrange your first professional clean now!